Socrates saw himself as “a gadfly to a horse”, where the horse was Athens–a “sluggish horse” in need of a bit of “stinging”. This the origin of our cliché. As we keep discovering in this thread on Socrates, the old man is still with us all the time, whether we are aware of it or not. Socrates also liked to compare himself to a midwife. (Perhaps that metaphor came to him because his mother was a midwife.) What he meant by it was that, through his dialectical questioning and conversation, he “birthed” the thoughts that his conversation partners were already pregnant with. Put differently: He felt that he brought something out of people: he led (Latin ducare) something out (ex), ie educated. But how did others see him? In short, it is hard to avoid concluding that Socrates left everybody feeling bad. If you were lucky, he merely belittled or embarrassed you; if you were unlucky, he exposed and humiliated you. He never made anybody feel confident or good. In our lingo, he left everybody 😦 and nobody 🙂 . What if Socrates had talked to Patanjali? This is quite worth thinking about. You recall that Patanjali was my nomination for the title of “the world’s greatest thinker ever“. He was the original sage of Ashtanga Yoga. Which is to say: Whereas the Bhagavad Gita outlines Ashtanga Yoga (which it calls “Raja Yoga”: “regal union” or “kingly discipline”) in a narrative form, Patanjali was the first to analyze the “how to”, step by step. As it happens, he had a lot to say about something that Socrates valued: truth, or Satya in Sanskrit. It is one of the Yamas, or ethical principles, that yogis must adhere to if they want to embark on the journey that leads to enlightenment. Don’t lie, in Commandment language, to others or yourself. But Patanjali is more subtle than Socrates. 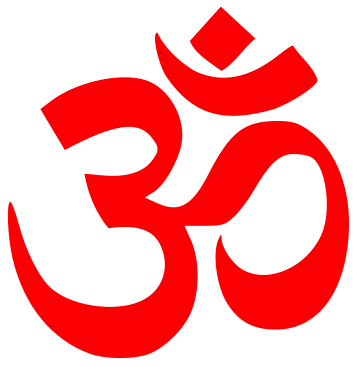 Another of the Yamas is Ahimsa, non-violence: Don’t hurt people (others or yourself), physically or psychologically. The subtlety lies in understanding that Satya and Ahimsa, truth and gentleness, often conflict. It may be true that you are ugly, but do I need to tell you that and hurt you? In Socrates’ case, it may have been true that his interlocutors were, if not ignorant, at least far less wise than they pretended. But did he need to humiliate them publicly? There was widespread consensus that his negativity helped the cause of truth only insofar as it tore down certain falsehoods. That’s a step forward! But Socrates did not then build on the rubble with a positive truth. Patanjali might ask Socrates: What, sir, were you trying to accomplish by humiliating your opponents in your dialectic? Did you not forget your own distinction between eristic dialogue, in which the parties try to win, and proper dialectic, which brings people closer together in the common search for truth? Sometimes, in life and world history, one must be violent in the name of truth. Other times truth is not worth violence. There must be a higher purpose, a positive goal. Otherwise a gadfly is just another gnat that bites to feed on the blood of others. So here I have been, waxing philosophical about Patanjali, the great sage of Yoga, and his fundamental insights about the human mind. Well, I’ve been a hypocrite. Because, as I have been noticing all this week, I am barely remembering to breathe. And breathing properly is the way to calm and clear the mind, as Patanjali taught us. So my mind, you can infer, is anything but calm and clear. I am too worried (about something that I may or may not share anon). A few years ago, I took videos such as this one seriously, and actually did pranayama (breath exercises). But paying attention to breathing is amazingly hard work. So, because I’m lazy, I gave up. Then life pitches you a few tough ones, and off you go, breathing like a dog: shallow, top-of-the-lungs, in-out. You become a wreck. It’s a pity that breathing, or the concentration that it requires, is such hard work. Otherwise, I might actually learn the lessons by Patanjali that I like to tout. Ironic. And so: the winner. The Hannibal Blog‘s search for what makes great thinkers great, and what does not, took ten posts. My nominee is Patanjali. Those of you who have been checking in regularly might have had your suspicions that something yogically-themed would come up again. But do not make the mistake of thinking that Patanjali is “only” about Yoga! Yes, he wrote (or so we think) the Yoga Sutras, which is, along with the Bhagavad Gita and the Hatha Yoga Pradipika, one of the three great texts of Yoga. But what he said–with masterly economy, in 196 aphorisms that form a single logical thread (sutra)–qualifies not only as the earliest but also as the greatest thinking yet on the human mind. And that says it all: This is about the mind, or psyche in Greek. So he was, with the Buddha (who might possibly have been a contemporary), one of the first psychologists. That said, the ancient Indians put our psychologists to shame. The trouble is that the mind is almost never still. It moves, pulled by thoughts as wild as bucking broncos. And this is what confuses and torments us. Patanjali’s greatest (and most overlooked) contribution is his analysis of these naughty ones that we call thoughts or emotions. You know them all: anger, fear, envy, greed, lust, anxiety and so on. They show up and take your mind captive. You think they are you, and you suffer and make others suffer. Patanjali proves that they are not you. You can, with the techniques that he describes, let them go. A naughty one shows up in your mind stage left, you say, ‘Oh Hi, Mr Anger’ and label him, then allow him to exit again stage right. And you keep doing that. Over time, you make a discovery. Who is saying Hi and doing the labeling and letting go? It can’t be Mr Anger. So anger is not me, it’s just some schmuck passing through. See you! I am therefore something else. Patanjali calls this I the seer. As the seer sees more clearly, the mind comes to rest. And for all those who are still with him at that point, he sketches out how to unite (=Yoga) with this seer in order to feel whole and free. Non-trivial, as I’m sure you’ll agree. Now that I’ve reclaimed the word Liberal from the barbarian hordes in American television and politics, I thought I should expand the topic so that we are all equally confused again. Liberal, we agreed, comes from the Latin liber, meaning free. It is a philosophy of freedom. Nuff said. Actually, no. There are so many ways of thinking about freedom that it quickly makes your head spin. In this course, Rufus Fears, a professor I quite like, distinguishes between political, national and personal freedom. You can have personal freedom without political and national freedom (colonial America, Hong Kong within China) and national freedom without political and personal freedom (post-colonial Singapore under Lee Kuan Yew, in my opinion). 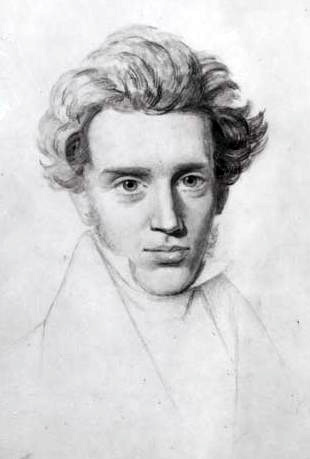 Then there are the likes of Gautama Siddhartha, aka the Buddha, and Soren Kierkegaard, pictured above. They took thinking about freedom to a whole new level. The Buddha (and his contemporary, Patanjali) showed us that oppression comes from our own mind–its fears, craving, anger, and desire in general–so that freedom is about making the mind still. It is internal to every individual. Kierkegaard and the Existentialists who followed him would agree with that but draw a different conclusion. Because we are free, we are free to screw everything up and we know it. This makes us anxious. So freedom leads to Angst (whereas the Buddha’s freedom comes after Angst has finally become quiet). Then there is the entirely new and modern problem of too much choice. Thanks to Richard, I found a TED video by Barry Schwartz, a psychologist, in which he dispels the myth that more choice equals, or leads to, freedom. Instead, it increasingly paralyzes and enslaves us. then you are not really free. You just give up. You will regret whatever you do choose, because the other options might have been better. And you will blame yourself because now it’s your fault that life is not perfect. I think of this as Kierkegaard 2.o.